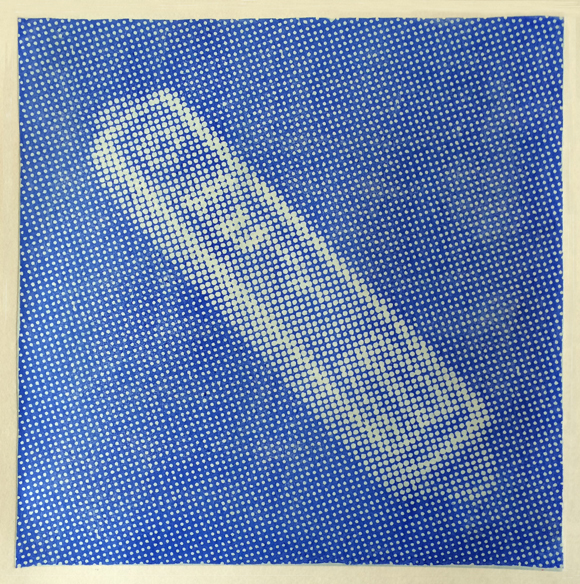 This print, the second in a series of halftone woodcuts called Relics, is a mezuzah from the Jewish religion. A mezuzah is a piece of parchment inscribed with verses from the Torah and placed inside a decorative case which is then mounted on a door frame. Often observant Jews will touch the mezuzah when they pass it as a remembrance of God. 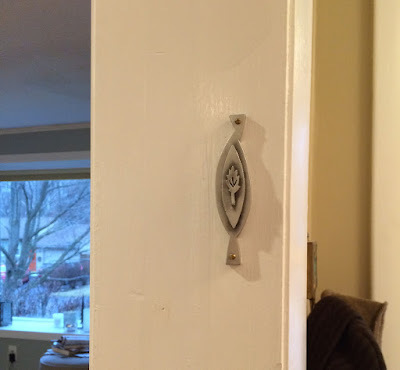 Although no one in my household is Jewish, we have a mezuzah made by a local jeweler named Emily Rosenfeld on our door. We've put a Sanskrit verse inside, and I usually touch it as I leave the house as a way of reminding myself to bring my feeling of 'home' with me as I enter the world.